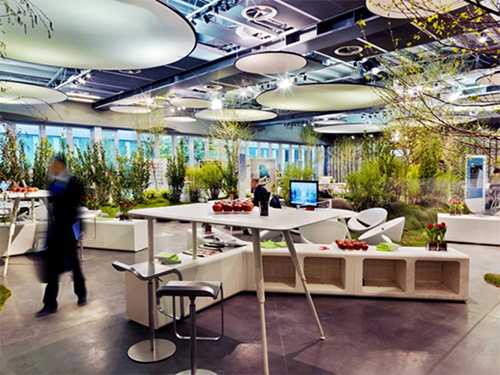 It is generally accepted that to accomplish their work employees need to be indoors, but if you work at ThinkGarden you would hardly know it. 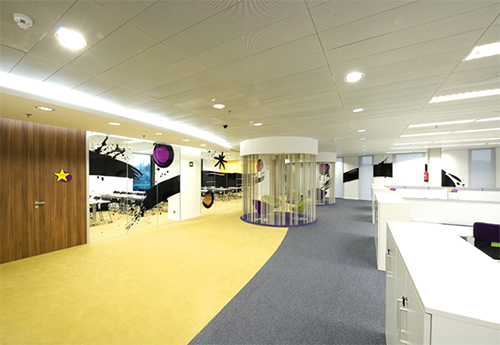 An indoor garden takes possession of an entire corner, trees and flowers are positioned throughout the space and murals of lush forests and picturesque woodlands cover the walls. 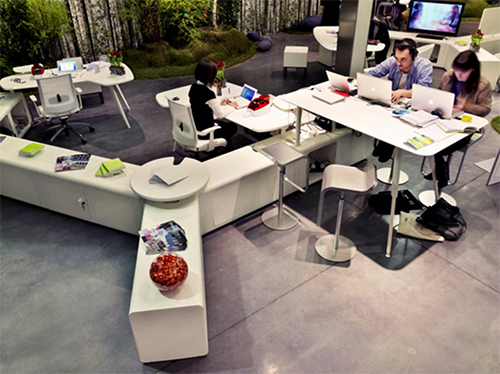 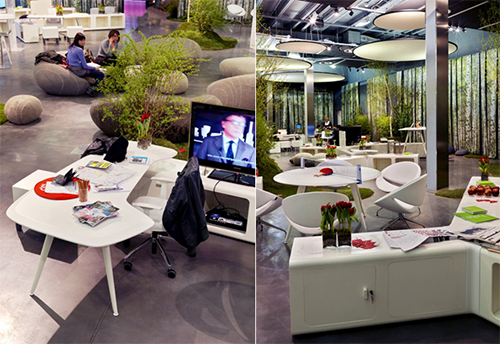 Hammocks and a circuit of boulder shaped beanbags provide an alternative to the nearby traditional workstations. 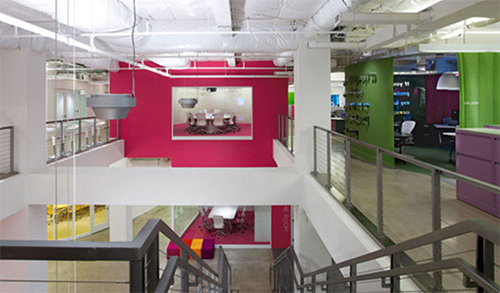 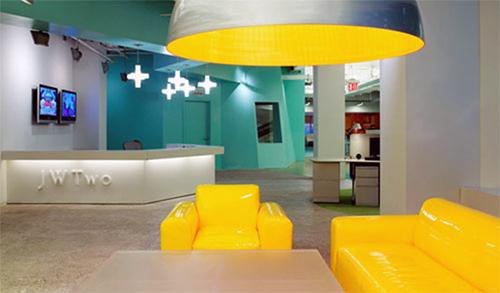 Designed to accommodate 900 employees, JWT is known as one of the oldest advertising companies in the world. 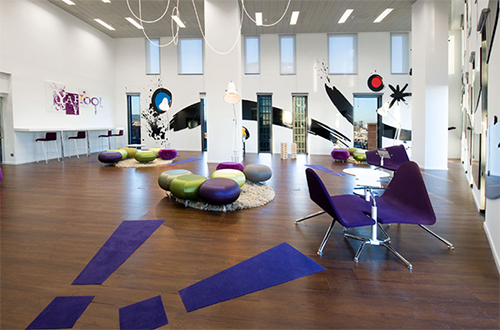 The five floored office designed by Clive Wilkinson Architects creatively displays their brand identity. 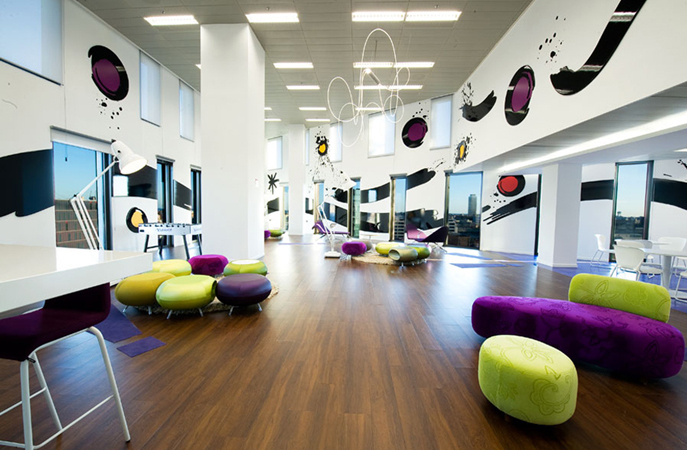 Like their several offices around the globe, the 7m high ceilinged Barcelona office focuses on fun and creativity. 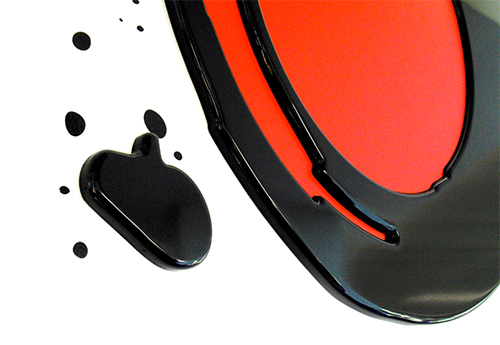 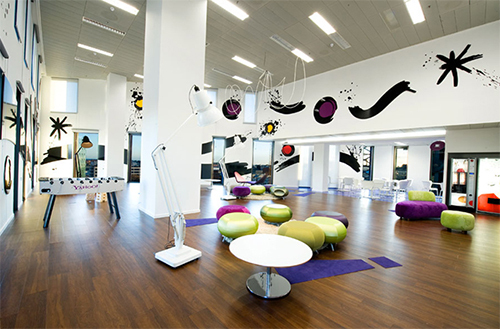 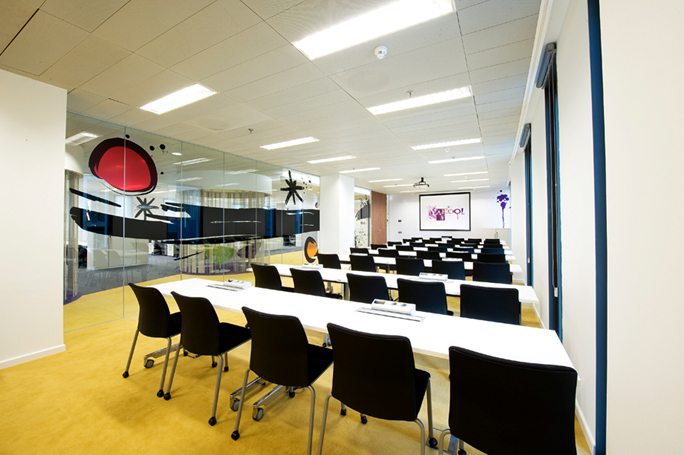 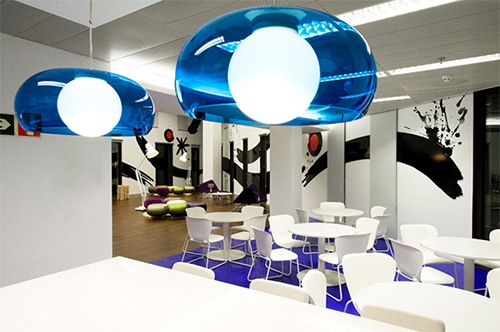 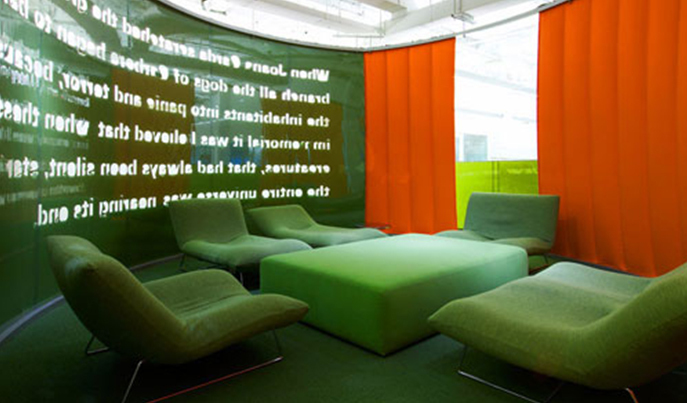 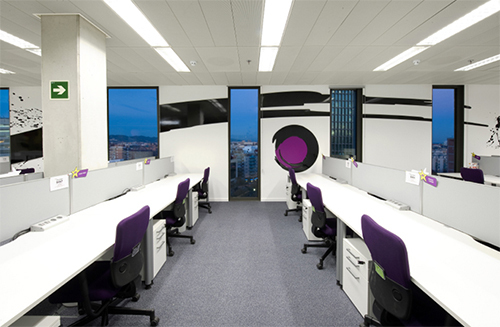 Paint-like artwork decorates walls and windows and the meeting rooms are equipped with Drywipe Writable Graphicwalls.